Based on reviews from 2,837 experts and 347,042 users. 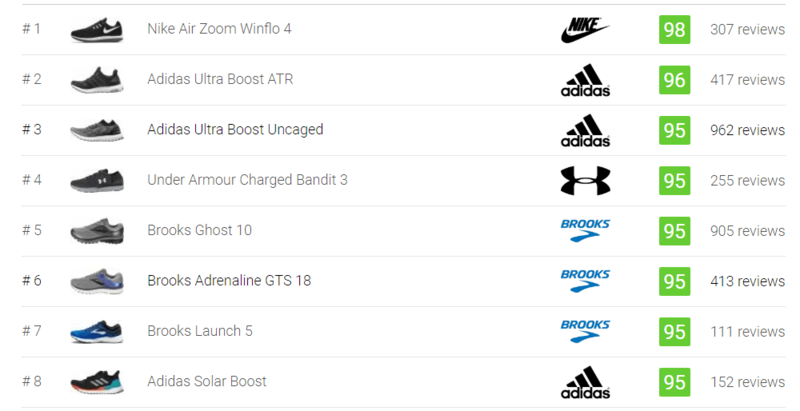 Learn how our rankings work or see our guide to daily running running shoes. Updated Apr 2019. What is a daily running shoe? A daily running shoe is obviously a very basic requirement when it comes to running. Unless you are used to running barefoot right from the start, you would definitely need some sort of protection against all types of surfaces. Although “daily” does not have to literally translate to everyday running, it should still mean a go-to shoe that would be your partner almost every time you run. Regardless of the frequency of the run, a regular training companion is a staple for recreational, newbies, seasoned, and elite runners. Running is directly associated with this type of shoe. This kind of shoe is sometimes called “trainers” by runners. What should you look for in a daily running shoe? “Comfort is king,” can never be truer when it comes to a day-to-day trainer. When you are likely to spend much of your time running in this shoe, it makes sense to look for something that makes you ultra-comfortable. Whether you are a recreational runner or an elite racer, you would be more inclined to lace them on if you know comfort is served in spades. Running is hard enough without having to deal with discomfort with each stride. 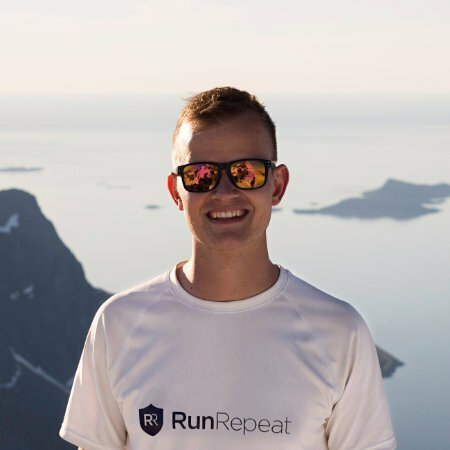 It is, without question, better to remark about how comfortable your run was, rather than complain about the ordeal that you have just gone through. A shoe that fits you like a second skin is another factor to consider all kinds of shoes, particularly when it is used for training and running. Making that next stride is much easier when you are not afraid of getting blisters or hot spots. The right fit offers excellent support, protection, and security. As the foot does the brunt of the impact and workload, you might as well provide it with the necessary factors mentioned. Your feet should have the same color before and after every run. Black, blue, or red are very nice colors, but only when you don’t see it on your foot every time you take the road. When the fit is just right, the shoe simply disappears. You can concentrate on your mechanics or rhythm instead of having to worry about what’s wrapped around your foot. Remember that fit may vary among brands. Don’t completely trust the size of the shoe or your own foot. Trying on different shoes is always the best option. What other factors to consider when looking for a regular training shoe? The amount of cushioning in an everyday running shoe is also very important. A wide assortment of cushioning levels are available for runners to choose from. Whether it is max, mid-level, or barely there cushioning, you have a wide selection of choices. When it comes to regular running, shoes with good cushioning are generally recommended. Shoes with adequate cushioning have more durability for the rigors of everyday running. These will help with the support and protection without having to change shoes quicker than necessary. There are also shoes with almost no cushioning, but these are recommended for those who have extensive experience in minimalist shoes. Some runners rotate their trainers regularly so they choose different levels of cushioning that will help them achieve their goals. Rotating everyday shoes also develop different types of foot and leg muscles. Shoes are generally categorized to provide the needs of runners. A good number of those who roll too much upon foot strike prefer shoes with more support and stability. Stability shoes have enough arch support to curb the inward motion of the foot. It prevents the arch from caving in for a more stable ride. A majority of runners have medium arches for natural support, hence shoe manufacturers offer them with countless options. Neutral runners may also choose slight stability shoes to support their running form when fatigue sets in. Some overpronators or supinators also opt for neutral shoes when they are quite comfortable in them. There are also those who supinate or roll outwards during every stride. Trainers with good cushioning and flexibility are highly-recommended for them. The cushioning and flexibility will greatly help with their often rigid feet and lessen the force of impact. Terrain greatly matters when considering a daily running shoe. For those who spend most of their time on man-made surfaces, a shoe built for the road is an obvious choice. When you run in the outdoors almost every single time, getting a trail running shoe is a no-brainer. For those who want to vary their training, running on the road and the trail is highly-recommended. In this case, a hybrid shoe that can tackle both surfaces is a smart selection. Hybrid shoes are also wallet-friendly as you don’t have to buy two separate pairs of road and trail shoe. Having a clear idea of your climate helps with shoe selection as well. Runners who live in rainy areas often look for a daily running shoe with a water-resistant or waterproofing features. In hot areas, a very breathable trainer keeps the foot cool and dry. Shoes with open mesh or large holes all over are quite popular for this type of need. Like most everything in life, the numbers on the scale also matters. Lightweight trainers are designed for high-mileage running or fast tempo runs. Daily running shoes with adequate heft are for shorter runs. The compromise in weight usually means more support and durability for the runner. There are also steady training partners that are very light. These are often utilized during the preparation for races. Naturally, these are not as supportive or as durable as their heavier counterparts. Varying your distance and speed can also mean that you would have to mix and match your trainers depending on the occasion.